As we spend so much time inside the heads of videogame protagonists we might be under the impression that they have minds and imaginations. Sure, we may perceive entire worlds from behind their eyes but these are not sentient beings with thoughts and feelings. Related: the depiction of mental health in Hellblade: Senua’s Sacrifice. And yet, there are a number of games that submit to the idea that the mind of a character is more than simply our interpretation of a 3D model driven by lines of code. These are games that allow us to empathise on a new level with our favourite characters, to get new insight on their inner thoughts – or to pretend that red lego bricks strewn all over a town are, in fact, lava. The following titles feature stories that take place within the mind of its characters, to a greater or lesser extent. Whether it is through technology, catapulting us into a past or fictitious environment, or psychedelic drugs and magic manipulating our minds, these games encourage us to be skeptical of the information presented to us, and, most importantly, have lots of fun with the freedom of imagination. Spoilers abound. Like The Stick of Truth before it, South Park: The Fractured But Whole likes nothing better than to mess around with notions of the imaginary and the real. As the New Kid, we are ostensibly part of group of eight-year-old miscreants, in a perfectly normal Colorado town. Then, with our fantasy garb from The Stick of Truth hardly cold on our bedroom floor, we have suited up for a new superhero game, fighting two enemies atop a fire-breathing dragon. Wait, what? We are not really fighting a dragon – we can see it is a hastily taped-together cardboard construction – but the gameplay of this superhero sequel helps us get swept up in the rampant imaginations of our favourite fourth graders. The line between South Park’s reality and the rules of the game blur with the combat, too, as enemies request do-overs and inflict debuffs on you because, dems the rules. Fail to comply and prepare for a chorus of ‘I’m telling!’. Often, it is very pleasant to be left alone with your thoughts. But sometimes, when you just can’t get that memory of a past mortifying embarrassment out of your head, it can feel a little stifling. With that (unavoidably) in mind, then, Double Fine’s classic immediately comes to, err, mind. 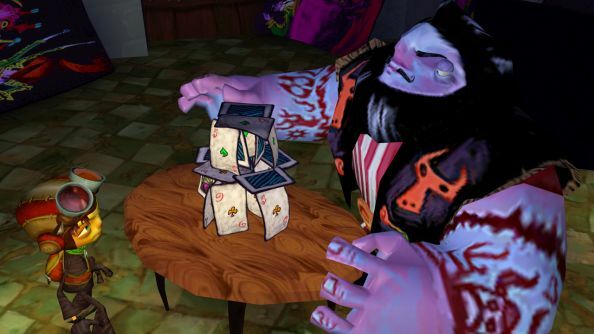 Psychonauts does not take place in protagonist Razputin ‘Raz’ Aquato’s imagination, but instead in the minds of a clutch of zany supporting characters. You see, Raz is a gifted psychic, who is spending his holidays at the Whispering Rock Psychic Summer Camp – a military operation masquerading as a kids’ activity – much as you might if you could invade brains. With The Witcher 3: Wild Hunt, CD Projekt Red created a world that is unequivocally better than our real one. Yes, despite the mass graves and fearsome monsters. 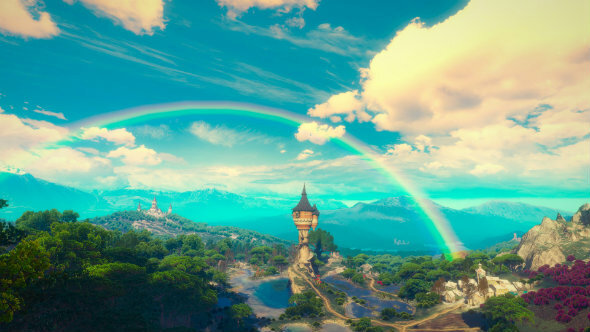 But, Toussaint – from the wonderful Blood and Wine expansion – hardly needed an even more sumptuous place to get lost in. Yes, I’m including the bloodthirsty vampire. Yet, us lucky things get one. Tucked away in the playroom of the resplendent Ducal Palace lies, like a fantasy Tardis, a hidden world. The Land of a Thousand Fables, in the Beyond Hill and Dale quest, is a magical fantasy world forged as a playground for the two ducal daughters. Now a prison for the rogue Syanna, Geralt must transport himself into this curious land and free her. A yellow brick road leads you along as you slice your witcher way through a slew of fairytale favourites, from the cantankerous big bad wolf to the wicked witch. Essentially, it is the best fantasy world you can find in a cupboard – this side of C.S. Lewis, at least. 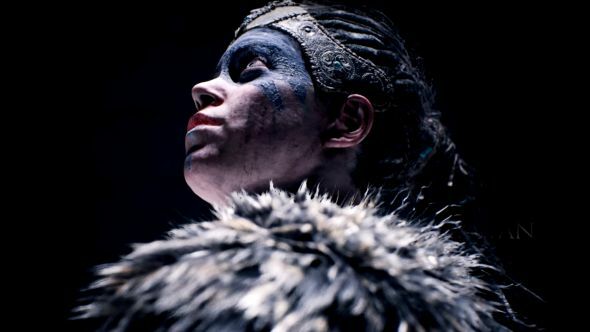 Hellblade: Senua’s Sacrifice is known for its trailblazing portrayal of mental health problems. Developers Ninja Theory even consulted neuroscientists and those affected by psychoses to ensure the experience would be as evocative and sensitive as possible – and players loved it. Senua is a troubled Celtic warrior on a quest to viking hell to fight for the soul of her deceased lover. Over the course of her journey, Senua struggles to overcome her demons, both physical and mental. Raised on the Norse tales of her childhood, Senua blurs reality and legend in her mind, leaving you to interpret the pieces. Binaural 3D sound design aims to convey the sensation of psychosis, binding you to Senua with different voices cascading around her, cackling and shouting over each other. You are also threatened with permadeath at the game’s outset. It may have actually been a bluff, but it means you feel united with Senua in fearing her foes. As Senua wrestles to distinguish fantasy from reality, you firmly inhabit her mind, as Senua does yours. Dr Jonathan Crane – Scarecrow to you and me – pops up a few times to terrorise you throughout Batman: Arkham Asylum. With his sinistar hallucinogen Fear Gas, Scarecrow amplifies the worst fears in his victims to drive them insane – or involuntarily sending them to a trippy puzzle-platformer world, if you are Batman. Prior to these extra-dimensional excursions, we get to experience the impact of the gas on Brucie’s mind, most memorably sending him back to where it all began: Crime Alley. Entrusted with the mission to rescue a doctor from a much more dangerous doctor (Zsasz), we must walk through a long corridor with the suspicious sound of gas seeping in around us. The corridor morphs into an alley, rain somehow lashing /inside/ the asylum. The voices of Bruce’s parents echo around him from that fateful night as the gas does its work, reducing brooding Bats to that scared little boy, once again. 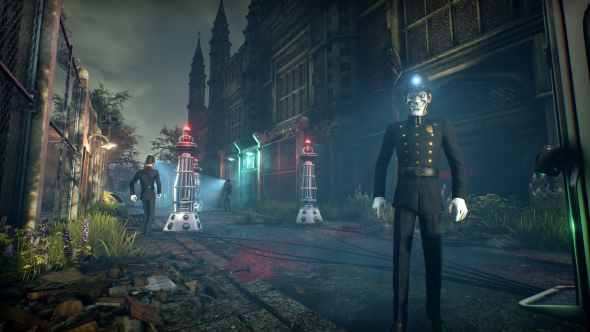 We Happy Few’s mid-1960s setting of Wellington Wells is a beautiful place. Everyone is ecstatic all the time. Streets buzz with the chatter of happy conversation. The bright colours of rainbows and flowers bring the world to life – provided you have taken your Joy. The thing is, this utopia is really a dystopia, fuelled by an addiction to the hallucinogenic drug Joy, which keeps its denizens in a constant state of blissful sedation. Refuse and you become a ‘downer’, seeing the world in all its nightmarish decrepitude, and hunted by the totalitarian authorities for your disobedience. In the scorched wastes of the Capital Wasteland, you could be forgiven for thinking any reconstruction of a pre-apocalyptic American neighbourhood would be preferable to the horrors of reality – even if it is not real. Do not get your hopes up: this is Fallout 3, after all. 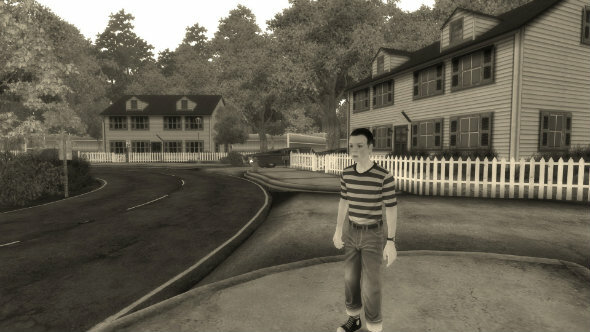 Tranquility Lane is a virtual reality simulation of a humble suburb in Vault 112 for the sadistic amusement of Dr. Stanislaus Braun – or ‘Betty’ to her trapped digitised denizens. But, be warned: Betty’s harmless childlike exterior belies an insatiable appetite for protracted torture and death. From making a little boy cry and breaking up a marriage – before putting the lot of them to the kibosh – you must enact Betty’s will on these poor souls as you are virtually lashed to the simulation. Unless you find a way to unlock its failsafe, that is, condemning everyone to death and putting them out of their misery. We told you not to get your hopes up. Speaking of virtual reality, the Animus from the Assassin’s Creed series analyses the genetic memories of select subjects to gain information from the past, rendering them in 3D. This information can either be used nefariously by the Templar-infested Abstergo Industries, or allow us to travel back to the past without time getting in the way, the pesky existential buzzkill. 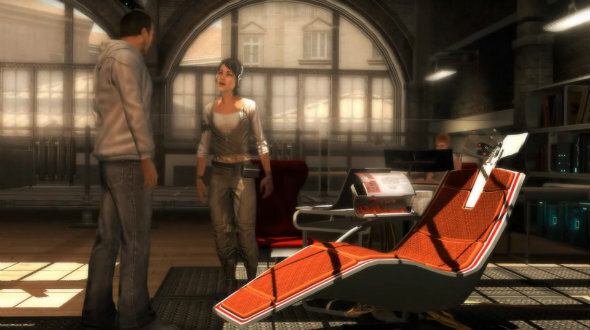 Early versions of the animus saw assassin ancestor – and downright dullard – Desmond Miles reclining on everything from what looked like a sunbed to a futuristic lounge chair. Thankfully, later entries – including the jaunt to Ancient Egypt in the very strong Assassin’s Creed Origins – largely eschew the modern day aspect. It is only ever an excuse for us to see the world, anyway. From the vast, twinkling oceans of the 18th-century Caribbean to the transformative world of revolutionary France, the Animus allows us to see the world as if it were a living museum, to drink in the atmosphere of societies and peoples lost to the rapacious appetite of time. All without the walking and travel insurance, too. Ok, I am going to cheat here. Ni No Kuni: Wrath of the White Witch is not on PC, although it definitely should be with the sequel, Revenant Kingdom, out early next year. 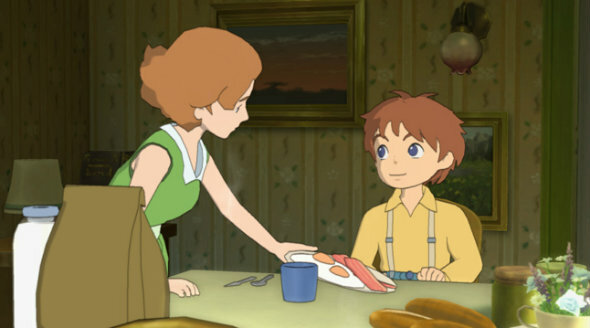 Ni No Kuni’s world is vibrant, charming – thanks to the masterful work of Japanese animation specialist Studio Ghibli – and brought to life by the tears of 13-year-old Oliver. Oliver’s happiness and appetite for life in his home town of Motorville is infectious, but this is cut short after he plays with a new vehicle with his friend – accidentally driving it into a river. He would have drowned, too, if not for his mother Allie rescuing him. Unfortunately, the effort proves too much for her weak heart. She dies soon after. Left alone for days with his favourite toy his late mum made, Ollie’s tears bring him to life. He is then transported to a fantasy world to save Alicia – a great sage that looks suspiciously like his mum – from the evil wizard, Shadar. Over the course of 40-50 hours, though, your real mission is to help a little boy comes to terms with the death of his mum. 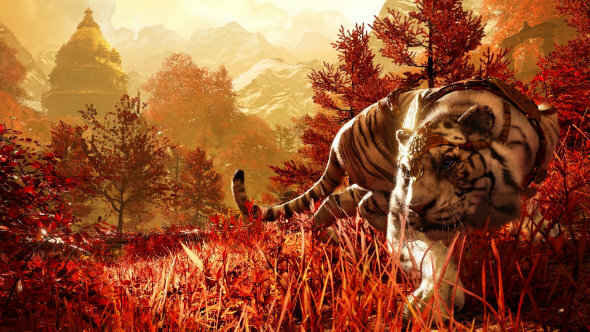 Ajay Ghale really does have an interesting time of it in Far Cry 4. While he is travelling to Kyrat to return his mother’s ashes the bus he is travelling on is attacked by the Royal Army. It is at this point that the flamboyant, and downright berserk, King Pagan Min sashays onto the scene, snapping a selfie with a freshly-stabbed victim. But things get weirder later on. Like, transdimensional weird. Onto Shangri-La, then. This arresting, mythological area is first accessed during a job for the rogue pair Yogi and Reggie, after you teleport into the body of legendary warrior Kalinag. From there it is up to you to defend Shangri-La from the demonic Rakshasa. The vibrant oranges and reds of Shangri-La feel immediately surreal as you use your knife and rechargeable, time-slowing bow to scrap with flying bird demons. Also on the otherworldly itinerary are rideable elephants and telekinetically-manipulated sky tigers. We’ll have what Ajay’s having. 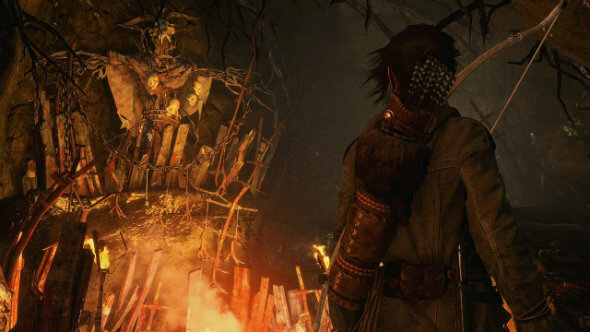 In Rise of the Tomb Raider’s Baba Yaga: The Temple of the Witch DLC, things take a turn for the psychedelic. Lara might have learnt a great deal since her 2013 baptism of fire but, here, she learns that her mind can be a more potent obstacle than any armed thug. In the wintry wilds of Siberia, Lara is in search of a missing man in a curious world rife with tales of danger and magic, one that has already swallowed up a Soviet expedition. That unpromising return rate aside, the so-called witch Baba Yaga held responsible reveals Lara’s innermost fears and anxieties, manifesting them in physical form for us to shoot in the face. This happens after a mysterious gas spews from the flora of a cave, which warps Lara’s mind and produces visions that distort the line between reality and myth. Or, to be more precise, bring to life a walking house with chicken legs. The gas exacerbates the torment Lara feels over her dad’s suicide and fundamentally manipulates her perception of the world around her. Not exactly the best preparation for facing a mythical witch prowling in the shadows. If you are going to be fussy about it, sure, Soma doesn’t technically belong in this list. 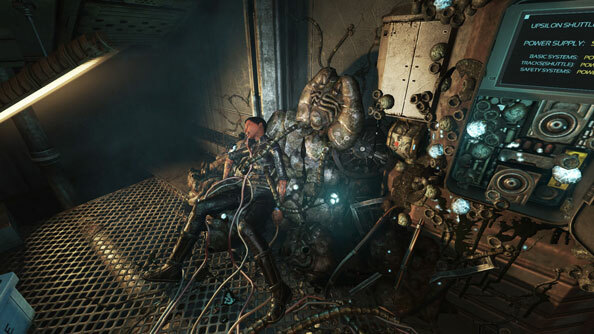 But the game’s fascinating setup, in which protagonist Simon Jarrett struggles to survive after waking up in the deep sea research facility PATHOS-II, toys with what it means to be sentient, and to have a mind at all. 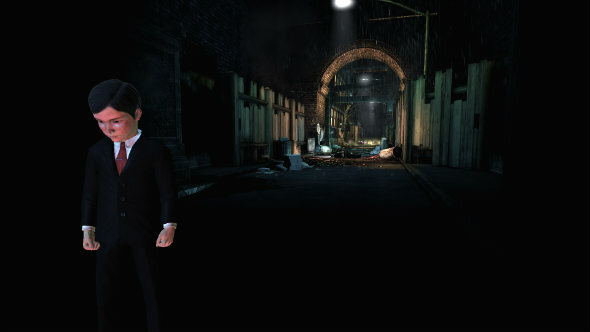 Some way through the game Jarrett is forced into a nightmarish decision, and must transfer his mind to a new body able to withstand the extreme pressure of the depth at which he finds himself trapped. The problem is that’s not exactly how it works – instead, as Jarrett soon discovers, the new body receives a copy of his consciousness while his old body and self are sedated. Now playing as the clone, you must decide whether to end the life of the real Jarrett, or let him wake up long after you’ve escaped to discover his fate. Later, after launching a high-tech ark that could digitally preserve human knowledge and personalities, Jarrett realises that even his copy can’t be transferred, only duplicated again. He is left at the bottom of the ocean, watching the fast-dimming light from the ark’s launch, as everything shuts down around him. The copy onboard will live on, but the copy who set him free must rot, contemplating the irony of his fate alone. Always go out on a high, they say. Which is why we thought we’d conclude the feature on this upbeat entry. So that is our list of games that, in many ways, are set within the mind of the protagonist. If you can think of any more, let us know in the comments below.